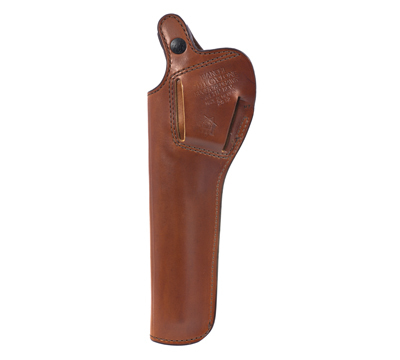 This right-handed, tan, leather holster is compatible with large frame, 7.5" barrels for Ruger® Redhawk® and Super Redhawk® double-action revolvers. 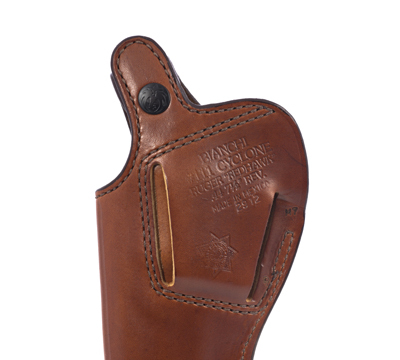 This suede-lined, hi-ride, open-muzzle holster features a quick release thumb snap and two belt loops designed for belts 1.75" wide. 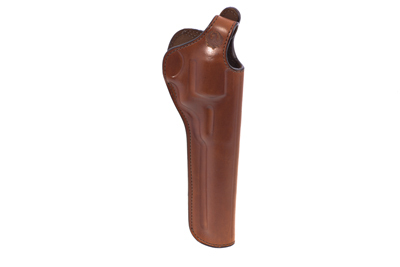 With this holster you may carry cross draw or strongside for maximum comfort and versatility. 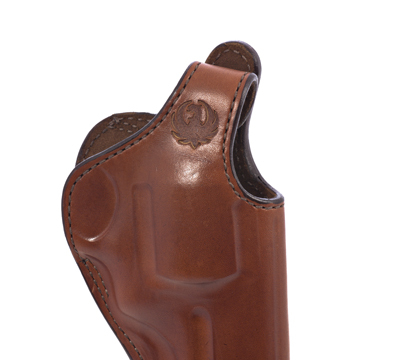 Carry your Ruger® double-action revolver in style with the Bianchi® Cyclone™ holster. Made by Safariland. I have more than half a dozen of the Bianchi Cyclone holsters and have used them for all handguns I have that fit this style holster. You can use it strong side in a high position or as a cross draw configuration. For long barreled handguns I prefer the cross draw method. This is especially nice when also carrying the gun on the opposite side of the rifle in a sling. Hands down this is my favorite pistol and double action revolver holster.